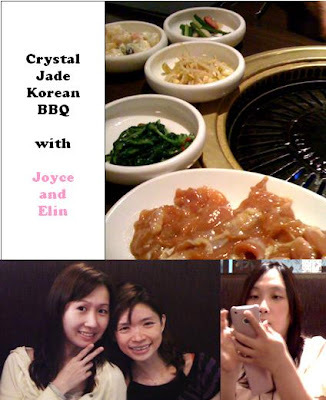 Elin brought us to Crystal Jade BBQ at Centerpoint :) I've never knew Crystal Jade has BBQ. It's the first time Joyce and Elin met. But Joyce is very easy going. We were surprisingly quite chatty. Now I can't wait for 30th to come. I hope we'll have fun partying. The food is really good. What is lacking for me is just some soju 燒酒. The BBQ meat reminded me of the Japan's BBQ place me and Elin went last year. Joyce loves travelling too. We have another travel kaki. Hehe. I am having rashes now. On my face, neck and shoulder area. The condition has worsened. Initially I thought it will go away but no. Mom said that it's hormonal imbalance/stress because I have not used any new skincare products at all. I have to see a doctor soon and take medication. I am in my ugliest appearance now. I seriously don't want to see anybody other than my friends who don't mind how I look. Thanks for your concern but I will not go out from now until the 29th. 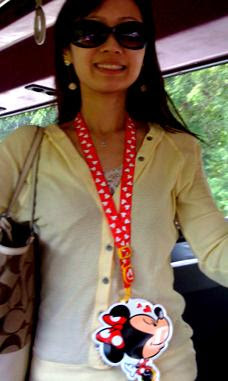 Thank you Xinying for getting this lanyard for me from Tokyo. It's really so cute. I like it alot.